The dog in the background has no problem ratting out his buddy. There is just not a lot of hiding the emotions of dogs. Now comes the real question — who was actually guilty of this mess? 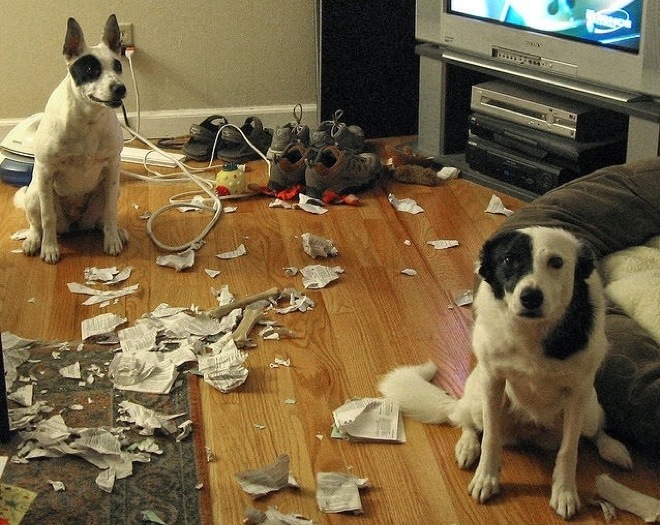 At least one of these dogs at least looks more guilty.